Considering that I'm doing almost no extra work to get farther than I would otherwise, isn't that cheating? It is not cheating, It gives advantage. After 50 runs with heartarena I know what it will suggest 27 times out of 30. Online drafting sites are not perfect. If you don't know how to draft it will help bring the quality of your deck closer to those who do know how to draft. Is it better than a person who knows how to draft a deck? Sometimes, but not always; even the people who keep the values updated will disagree with the choice given out now and then. The sites also don't account for risker drafts at the start of the draft as they go purely by card tiers. Taking risker cards can result in bigger pay offs than a by the numbers draft. I don't think this is a fair comparison. Yes Heartharena does give advise on best card pick and why - analyzing your current deck state. But, that knowledge is not something secret or master level - its a knowledge freely available on the net. Any newbie guide will tell you that Senjin Shieldmasta is better card than Bootybay Guard and why. Yes you can make that analyses yourself once you get good with the game. 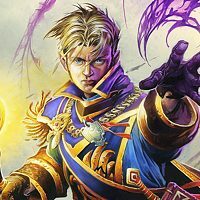 Heartharena just places all info already available in one place. If anything, it can make you WORSE player - if you are a noob and blindly follow its suggestions without taking time to study WHY. Yes, it will build a deck for you, which you still need to know how to play. Same thing happens with netdecking. There are people who dump $$$, make uber deck and then they get stuck at rank 12-15 because still can't play it. But in no way heartharena can tell you what to play during the actual match. I prefer a situation where everyone learns naturally and plays according to their own innate abilities. This is a wishful thinking in the era of the internet. Once information is out - its out there for everyone to see. 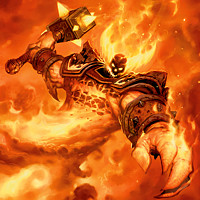 One guild just figured out how to beat tough WoW raid - the strat will be posted online within days. Even before internet, people in gaming clubs/store gathered together and shared knowledge.Not everyone - but some did, and gaming magazines posted articles on how to improve your skills. You simply cannot artificially force everyone into a dark room and offer them to fend for themselves. Just doesn't work. Good or bad - its the fact. Embrace it. How is that different than having a friend sit by you and advise you on card choices? And it doesn't create an unfair advantage because the other guy can use heartharena if he wishes. It doesn't really matter what we think. 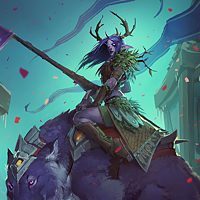 Blizzard defines the rules for this game as they see fit, and Heartharena doesn't satisfy their conditions to be considered cheating. I didn't say it was a fair comparison. I said Hearthstone was somewhere between that (chess) and the moba example. Of course there are general guides to learn value and drafting strategies online, and that's what I was referring to later about "learning naturally" rather than just being told what to pick. Heartharena only provides very rudimentary insight into the "why" of the picks. Let's be honest, if you really are a noob, I doubt blindly going with Heartharena picks will make you a worse player. It will probably draft a better deck than you would have. And of course you still have to play the game, but having a good draft helps a lot, hence the impact of heartharena. This is a wishful thinking in the era of the internet. Basically, that you can't avoid it, but some games are more prone to being impacted by the assistance of helper tools that basically just dump optimal or near-optimal choices in your lap without the need for any personal input or learning. Can you figure the stuff out yourself anyway by reading guides and such? Absolutely, and that's great and an ideal way to do it. But if you've done enough of that yourself, you won't gain much/anything out of something like heartharena anyway. The better you get, the more diminishing returns HearthArena has. If you do not draft well, HearthArena will help your draft in the long run. If you already draft well, HearthArena will hurt your draft in the long run. 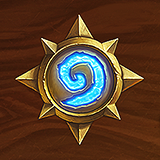 HearthArena will increase the winrate slightly for people who do not understand why certain cards are better than others. If it advises you to pick Haunted Creeper over Kobold Geomancer and Shieldbearer, then when you draw what you would have in that slot, and there is no choice but to play the Creeper on turn 2, you've made a great play. People will fall into wins they would not normally get. As you get to higher win rates, its about the deck AND the choices during gameplay. There is not enough generic advice or guides on the internet to take you to higher wins consistently, there is no algorithm good enough, because it does not account for the time you pick kobold over haunted creeper, or when to ignore advice in the guide to do something else, because those choices will come up and the statistically right play is the wrong play. 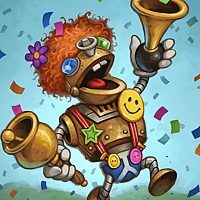 HearthArena will accelerate how quickly you learn to draft but only experience at higher levels will make you top tier. Basically, HA is like posting on the forums and asking what pick you should take, only with instant feedback. Tier lists are opinions of other people, and while most good players probably agree with most of it, they are not correct 100% of the time. I used HA to learn to draft better, then I stopped using it and I feel not using it has made me better. The other day, I looked at ADWCTA's tier list to see on pick 1 if Force of Nature was a better pick then Dark Whispers, but thats the only time I have looked at a tier list during drafts in several months. Long story short: Embrace it as a learning tool, but it is not going to make you top tier. I can analyze my deck and my card choices better than any software will anyway, because the software dont know what cards i dont like even if they are good. Its good for begineers. At some point you just stop choosing what it tells you. if u pick blindly into what heartharena tells u to pick then ur not a very good player, because its not always correct. 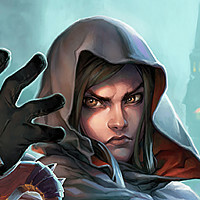 I dont think its cheating to use heartharena, this game has been out long enough that basically everyone knows what cards are good and what is bad. So for most veterans like myself, the drafting software isnt hurting anyone if it keeps the noobs playing. It's essentially just the same as having a friend (who has some more experience) help you draft a deck. It can't ever be considered cheating. It's the textbook definition of cheating... using an automated tool or program to assist your game in a way that you would have to spend more time and effort to do manually. Whether you think cheating in this manner is acceptable is a personal choice. Yeah because that type of automation in a game like HearthStone is a huge problem. I'd be fine if it was disallowed as it would just give me a bigger advantage over newbs but it doesn't do much more than you can do with a standard tier list and a small amount of judgement. You could almost argue that something like it should be built into the game as a guide for new players. It doesn't make a lot of difference at the end of the day as people that really require it will still generally make mistakes and lose to good players. Whether you think playing in this manner is cheating is a personal choice. Value is value. Which cards provide more value and then hopefully being able to create a deck with some synergy to it is what wins games in Arena. Overwolf helps expedite the process, but tier lists in and of themselves are almost entirely unbiased statistical information.